Women have changing health care needs. Dr. Patel provides comprehensive women's health services during every stage of your life. Our general gynecology services are designed to meet your routine and specialized needs. We provide a broad range of fertility treatment options to couples. We have designed this website to provide a comprehensive resource for you and your family. Our goal at Women’s Healthcare & Wellness is to provide the highest quality of health care to our patients. One thing that has separated us from the others is our emphasis on educating our patients about their treatment options and health issues. Our website is another step toward that goal. We proudly provide quality gynecological care to the community of Aberdeen, NJ and surrounding areas. Our services include, but not limited to, General Gynecology and Preventative Medicine, Adolescent Medicine, Menopausal Management and much more. We’ll be glad to hear from you if you have any questions. 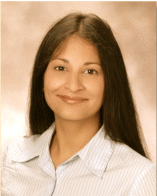 Dr. Falguni Patel’s approach to her patients is always by getting to know who they are first. has been board certified since 2003 and has maintained her certification for the American Board of Obstetrics and Gynecology. She currently holds an appointment of a Clinical Instructor for UMDNJ/RWJ Department of Obstetrics Gynecology, and Reproductive Sciences. Women’s Healthcare & Wellness accepts cash, debit card and all major credit cards, as well as care credit. As of July 1, 2018, we no longer accept any health insurances. We do provide superbills that can be submitted on the patients’ behalf for possible reimbursement. Any labs taken will still be submitted to insurance through the laboratory we use. Have you planned your next wellness visit? Call us at (732) 444-4859 to schedule your next appointment!